On July 2017, two weeks after the historical visit of the Prime Minister of Ethiopia H.E Hailemariam Desalegn and the First Lady H.E. 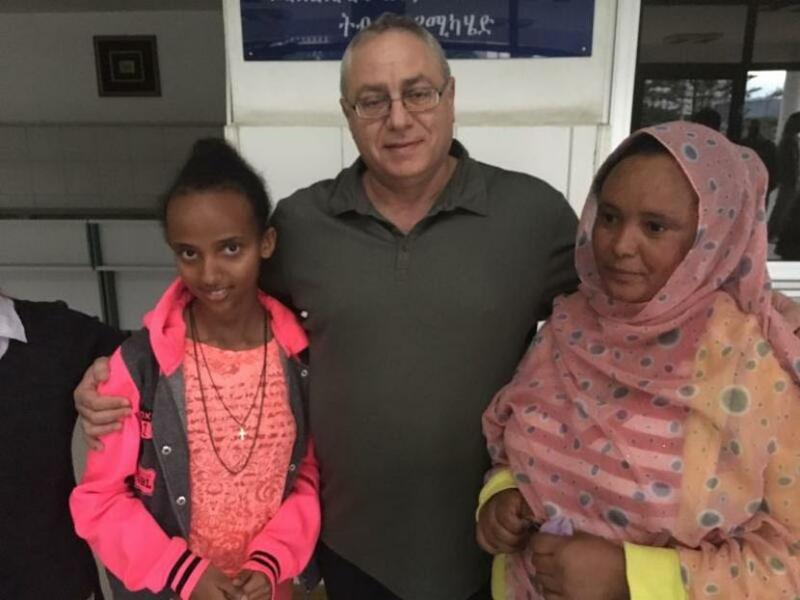 Mrs. Roman Tesfaye Abneh at Save a Child's Heart in Israel, a Save a Child's Heart medical team travelled from Israel to Ethiopia for a week of lifesaving heart surgery with Mending Kids from the United States. The team left Israel with a ton of medical equipment donated by: Biometrix, Medtronic, Neophram LTD, W.L. Gore, St. Jude, Ilex Medical, Nutrilon, Johnson & Johnson Medical Israel, Cook Medical, Getter, Bioavenir, Sarel Israel, Covidien (Israel) LTD, Edwards, Healing Teddies, Hogla. 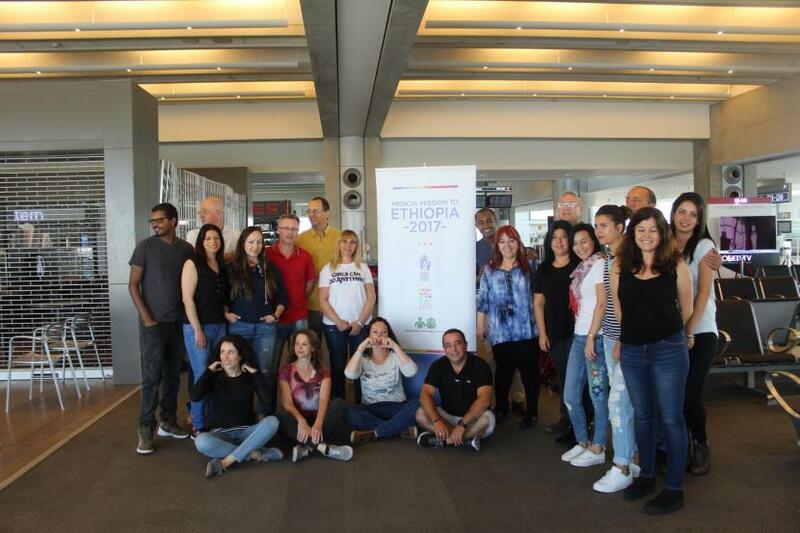 A special thank you to Ethiopian Airlines for flying the group and to Swissport Ground Handling, Flying Cargo Trucking and FC/DHL Global Forwarding Israel for facilitating the mission. 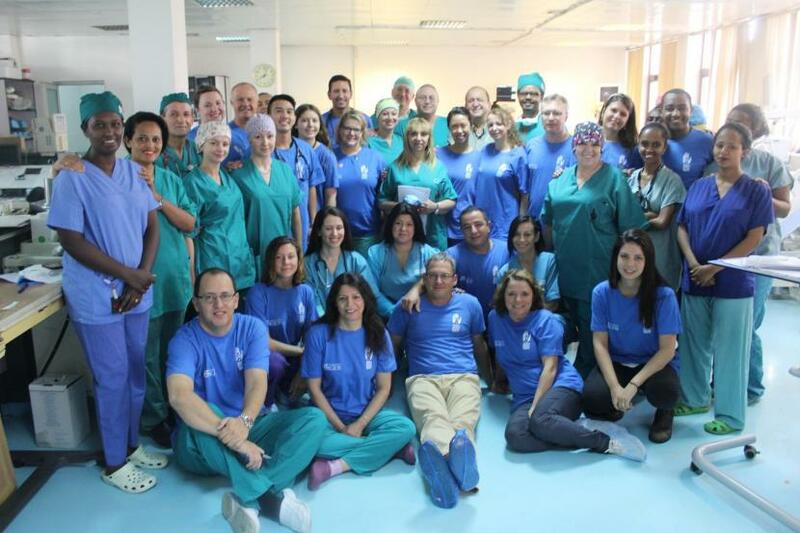 The Israeli team of Save a Child's Heart included a Pediatric Cardiac team from the Wolfson Medical Center, the American team of Mending Kids included a Pediatric Catheterization team from The Children's Hospital in Los Angeles and the two teams worked with their Ethiopian partners at the Cardiac Center of Ethiopia under the leadership of Dr Belay Abegaz. By the end of the medical mission 11 children underwent lifesaving heart surgery, 21 children received catheterizations and over 50 children were screened and diagnosed. 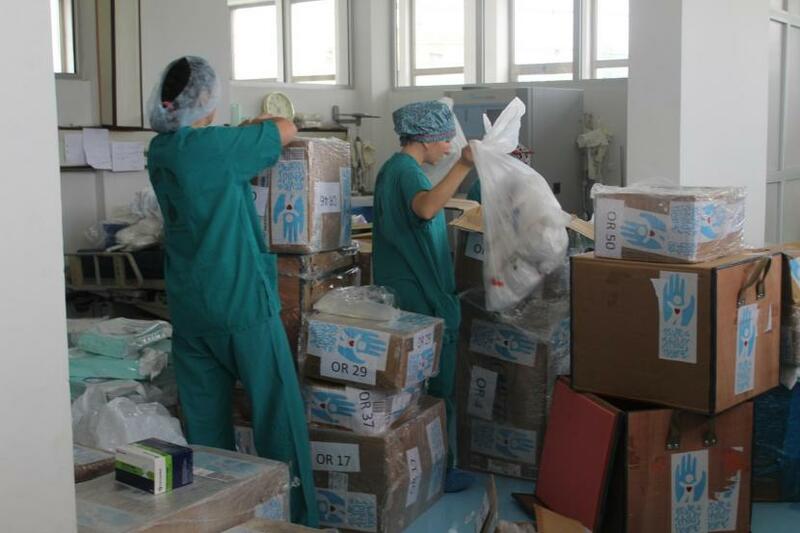 The arrival day was focused on unpacking and preparations for the first open heart surgery, the first catheterization and the setting up of the cardiology clinic to screen and diagnose patients. 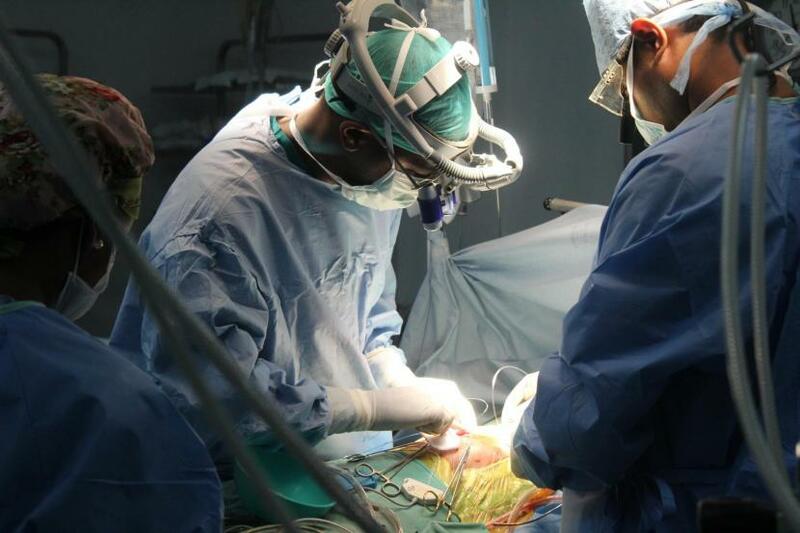 The following day, a young Ethiopian girl by the name of Abebe was the first child to undergo open-heart surgery. While the SACH team was performing the surgery on Abebe, The Mending Kids team were performing catheterizations, backed by the SACH anesthesia team, and meanwhile other children were screened in the clinic. During the second day of the of the surgical mission in Addis Ababa, Dr. Yayu Mekonnen - a young Ethiopian surgeon who spent the last five years in Israel training with SACH to become a pediatric heart surgeon in Ethiopia - performed his first solo open heart surgery in Ethiopia with the SACH team by his side for support. 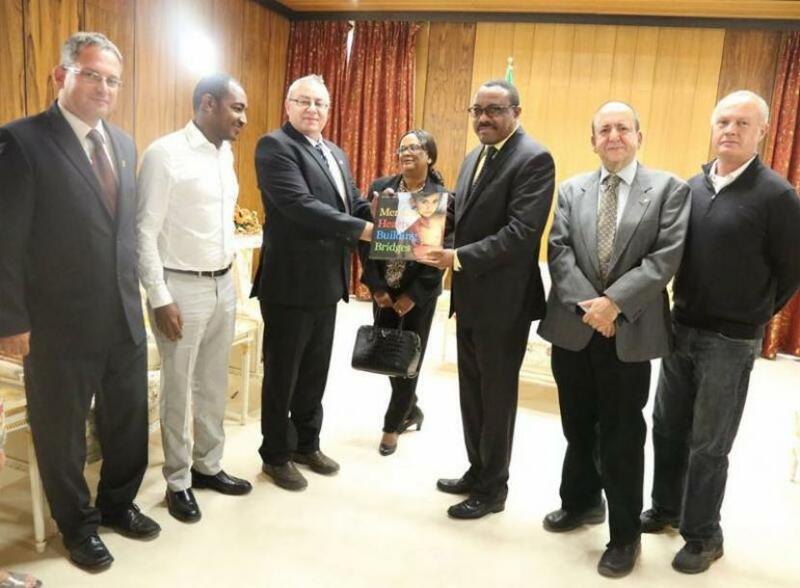 Three additional physicians from Ethiopia were trained in Israel alongside Dr. Mekonnen; Pediatric Intensive Care Physician Dr. Habtamu Sime, Pediatric Cardiologist Dr. Demeke Mekonnen and Anesthesiologist Dr. Tolesa Waktola. The following day Prime Minister of Ethiopia H.E. Hailemariam Dessalegn invited the SACH team to meet him at his headqurters, and the first lady H.E. Mrs. Roman Tesfaye Abneh visited the medical teams at the Cardiac Center and expressed their gratitude and support to the Ethiopian-Israeli-American cooperation for saving children's lives and wished the team good luck with the mission. 11 children operated, 21 underwent catheterizations and more than 50 children screened during the Save a Child's Heart medical mission to Ethiopia. Thank you to our partners Mending Kids from the US and to our Ethiopian partners at the Cardiac Center at Addis Ababa. "The Betty Story". Little Betty was brought to Israel eleven years ago to undergo lifesaving heart surgery. Her journey was documented and edited into one of the most famous movies of Save a Child's Heart. Today, Betty is a beautiful young lady, first in her class and dreams to become a doctor one day. Dr Lior Sasson, Dr Sion Houri, Dr Alona Raucher Sternfeld, Dr Nugzar Rijini, Dr Andrey Gluch, Dr Naama Pais, Chaya Museri, Nava Gershon, Revital Cohen, Kateryna Tomkovych, Svetlana Korn, Evgenia Siklier, Anat Mastor, Yigal Sofer, Natali Katriel, Olga Karjaev, Florina Kronshtein, Efim Fainstein, Arsen Arutiunian, Simon Fisher, Dr. Yayehyirad Mekonnen Ejigu, Dr. Habtamu Sime Gizaw, Dr. Tolesa Waktola Gemechu, Dr Demekke, Nir Katz, Noam Houri.